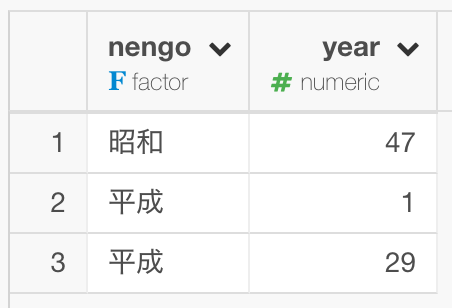 Let's say you have a data frame with Japanese Calendar Years with Nengo like this. 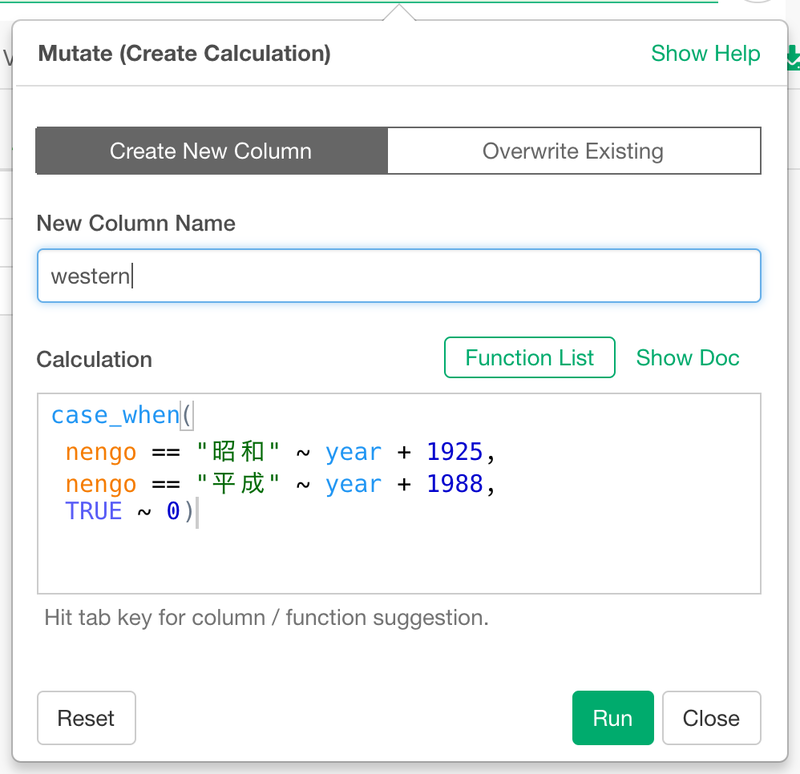 If you want to convert them into Common Era, you can make use of mutate with case_when function like this. It would look like this on the mutate dialog. Here is the resulting data frame with a new column with the years in Common Era.